Prepper supplies Can start with anything from a box of matches and end with doomsday bunkers. However much you want to put into being prepared for the worst is up to you. Your imagination is the limit. One of the things I hear from people about prepping, (after talking about people being paranoid) is that they wouldn’t even know where to start. Start with the basics that give you the most bang for the buck. They need to be items that help work towards the most important aspect of staying alive! Shelter, food, and water are the three biggest needs that you have to meet. Honestly anything after that becomes a comfort. Having a roof over your head with food and clean water makes you richer than millions of people. Bugging in became a term used by people who plan to just hunker down when things get ruff. That would include those with doomsday bunkers. I believe it was a termed used to counter the thought of bugging out when things got bad. It is almost a bit of a fight or flight aspect of prepping. Avoidance can be a great tool when used correctly to avoid danger. Bugging out also takes on completely different meaning based on whether it is done before or after a crisis hits. Leaving before a storm is considered bugging out, but the biggest problems faced doing that is traffic and destination. Leaving after a crisis hits, like a devastating hurricane, may mean that the only way out is with your own two feet having only what you can carry. Massive hurricane destroyed everything for 50 miles in every direction, you are probably not going to pack a car and drive away. It would be too late. At that point you would be left to whatever you could carry on your back. That is normally when something called a bug out bag would come into play. A bug out bag is exactly what it sounds like. It is a bag you would put any items in that you may want to carry with you to another destination. You normally want to pack the bag with items that would help take care of your 3 needs. Again those are food, shelter, and water! I am going to add Air as well. It is one of the basic needs, but it honestly seems like something that could have gone without saying. The only reason to bring it up now is that keeping some form of air purifier might just come in handy in an emergency. I am talking about anything from a bandanna to put over your nose and mouse all the way up to a gas mask or hazmat suit. 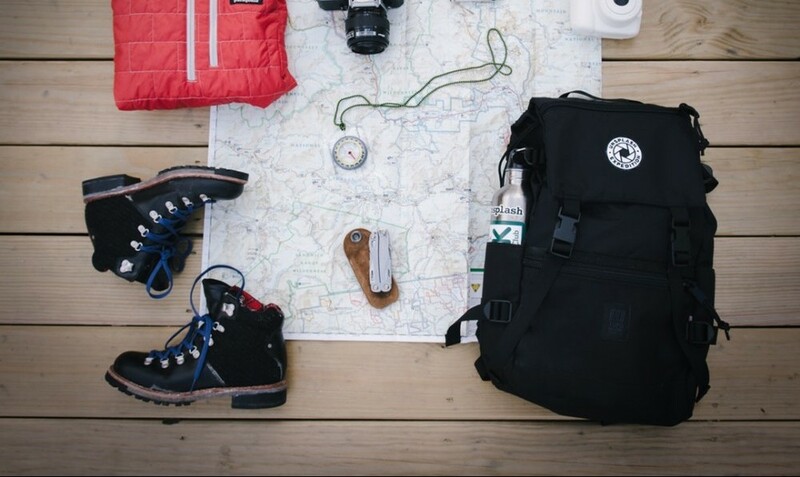 Here are some simple ideas for what you might want to put in your bug out bag. I plan on releasing a more detailed list later. This is a list to be used to get yourself to start thinking about what you might put in your bag. Everyone needs a bug out bag because sometimes staying just isn’t an option. I left out firearms because laws in the US vary so widely as do opinions on the matter. I think the situation will dictate what is right and needed. EDC – Every day carry! This term is used a lot by people who like to conceal carry firearms legally. 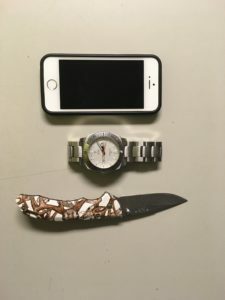 Every day carry refers to the weapons they carry on their person at any given time. Here I am using it as “useful prepper supplies” that I feel should be carried at all times. Carried could mean in your pockets or purse, but also mean left in a glove box of a vehicle. Quite a few people have what we refer to as a get home bag in their vehicles. It might include such items as watch, knife, flashlight, firearm, snacks, water or purifiers, medicine, gas mask, para cord string, axes, tools, cloths, boots. walkie-talkies etc. The whole reason for this bag is to give you supplies you might need to make it home in an emergency. It is typically a bag that is always left in the vehicle for emergencies. Other larger tools like crowbars and jacks should also be items left in vehicles. Empty gas cans can always come in handy. 8 of the easiest items to EDC are a pocket knife, flashlight, phone, watch, lighter, medicine, para cord bracelet, bandanna or handkerchief. Every day we have our smartphones and watches on our person already. Adding a normal pocket knife (please obey all laws for your area) and a lighter already increases your chances of making it through in a crisis. This does not mean that I think you need to bedazzle your bag or cover it in ribbons. It means that this is the bag that YOU plan on using when the going gets hard. It needs to be filled with the items you will need most in an emergency. Those items will always vary based on the individual. Men and women will always approach this topic differently. Women have their own items that they are going to want to pack. Men might feel better having more tactical items like an axe or firearm. Those items are always going to be a personal decision. You are going to have to literally live with those decisions. My personal bag will always have sunglasses and hand sanitizing wipes in it. I am just one of those people you never see outside without their glasses. I am not OCD but knowing that my hands are clean is always important to me. Catching a cold while trying to survive does not sounds like a fun time.. Cleanliness is next to godliness. Personalizing includes things as simple as the size and weight of a bag. I am a big guy and can carry some weight. My 120 lb wife will not be able to carry the same size and weight bag as me. Having items like an internal frame can also help you carry more weight. You need to make decisions about if you want to pack a bag so you have as much as possible with you, or pack it light for speed. Packing a bag so you can carry it at a brisk walk is generally best. Practice packing a bag and go for a walk with it. Figure out how well you move with it at different weights. Keep in mind that what is easy on a flat surface might be almost impossible climbing over debris. Testing to make sure you packed a bag correctly is always best to do before your life depends on it. It could be as simple as hanging out in your backyard using only those items that you have packed. My wife and I always let my sons “camp” in the yard in order to see how well gear works and will hold up. Product testing is always key. One of the surprises I think you will find is learning that there are items in your bag that you realize are just overkill, unneeded, and just added weight. Going a whole weekend with an item in your bag unused, might mean that it might have to go. Take your testing to a new level. The next step in testing a pack is to actually go backpacking with it. That doesn’t mean you have to hike for miles and miles with it. Drive to a campsite and once again only get by with the items you have packed in your bag. It is the simplest way of finding out what your pack is lacking. Remember to follow all the laws concerning knives and firearms when doing product testing. If you plan on having a bug out bag at your home with a firearm or knife in it, make sure to remove them before camping in a park that does not allow them. I know a lot of people like to have a bowie knife in their bags, but local laws may not allow for them to open or conceal carry them. Check your local laws at all times. When SHTF it will not matter as much considering there may be very little law enforcement going on. I encourage you to not break any laws at any time though. Have a conversation with the people in your life about why having a bug out bag is important to you. Explain why it is a good investment in your future. Keep a closet where you store bug out bags for your family. It is important to keep them ready as we never know when danger might arise. I’ve always been fascinated with the subject of doomsday bunkers and ‘preppers’ who go the extra yard to make sure they have somewhere to go if the world goes to pot. At the end of the day, a lot of people may well laugh at these characters, and call them paranoid…but the sad fact of the matter is that one day…they are probably going to be right…and we won’t be laughing then! Which one would you consider yourself, if you had to choose – Bugging out, or in? I believe there are a lot of practical things to be ready for like storms or natural disasters. Depending on the situation we are prepared to bug in or out. I can easily ride out a storm where I am at but if it was a total collapse of society we have places to go and people to be with. We have our plans to get there safe as well. Thanks for the comment. Great Post! I think that everyone should at the very least have some sort of worst case scenario plan in place. Nobody thinks that it will be them in those kind of situations but mother nature and people are unpredictable so you should at least make up a plan. I think people should also consider some sort of solar power like a small solar phone charger, that way you will not be relying on electricity (which may be unavailable if you need to bolt. I think that is why camping is such a good avtivity, it will teach you how to be prepared (or better prepared next time!) and also how to survive in nature, which is a very real possibility. I agree and the best part is the technology has gotten so much better on solar panels. They make plenty of items that are light weight and easy to store. Even a simple roll out of solar cells can make a huge difference. Camping is the perfect way to test products and I highly encourage that. I am glad you liked the post! I would never have guessed that you could need so many supplies. I guess when the crap hits the fan, you really got to be ready for it. This very useful for people who do not know what to be prepared for. When anything can go wrong, be ready. I really love the look and design of the bag. The biggest reason I started this site is to get people thinking about the what-ifs of life. Having basic supplies on hand in a bag comes in handy in plenty of situations that have nothing to do with an emergency. plenty of times I have seen people grab food or a band aid in a pinch from the bags they keep in their cars. It is a great way to make sure you rotate supplies as well. This is such a great article. I never even think of preparing for “the worst” to happen. I have so many duffle bags and good sturdy backpacks that I could have packed and available if I were to ever need it. I would also personally include some candles, female hygiene products, my crank radio/CB, and maybe include a few expensive items I could use for trade if I ever needed to and didn’t carry enough cash. I really like how you mention basic meds and water purifiers. That’s really important especially if you’re ever on foot. Maybe some crushed garlic would be another thing to include for a natural form of antibiotic. Awesome article and I love reading all of your posts. So many things to think of that your future you might just thank you for!